Mr. Louboutin and his company Christian Louboutin SAS produce high heel women shoes which have the feature to have the external sole systematically covered with red color. On 28th December 2009 Mr. Louboutin has filed a trademark application with the Benelux Trademark Office, which has matured into registration on January 6th, 2000 with the number 0874489 in class 25 (Shoes (with the exception of the orthopedic ones). In the trademark application, the trademark has been described as follows: “The trademark consists of the red color (Pantone 18-1663TP) applied to the shoe sole as above represented (the shoe border is not part of the trademark but has the aim to show the trademark position)”. The company Van Haren, which manages retail shops of shoes in the Netherlands, has sold high heel shoes whose sole was covered with red color in 2012. In 2013 Christian Louboutin and Christian Louboutin SAS appealed to the AIA Court for a trademark counterfeit against the Van Haren. 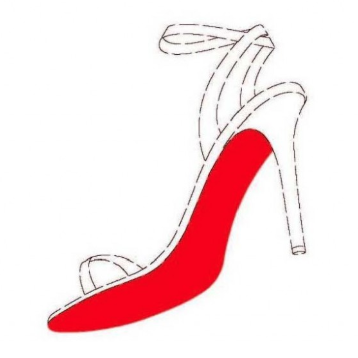 On July 17th, 2013 the judge has pronounced a default judgement, with which Mr. Christian Louboutin’s requirements have been partially accepted. The company Van Haren opposed the above judgement before the examining judge, the AIA Court, declaring that the trademark was invalid according to article 3, paragraph 1, letter e), iii), of the Directive 2008/95 because constituted exclusively by the form which gives a substantial value to the product. The Aia Court deems, first of all, that the red color is strictly connected with the shoe sole, and therefore this trademark could not be considered a simple two-dimensional design trademark since the description of said trademark points out that “the shoe border is not part of the trademark” and that such clarification confirms that the shoe border, displayed in the graphical representation of the trademark, has the aim to evidence the trademark position and not to reduce it to a two-dimensional trademark. 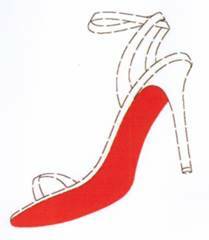 In this specific case, the trademark does not consist of a specific form of high heel shoe sole, since the description of said trademark shows evidently that the trademark border is not part of the trademark, but it is only useful to outline the position of the red color the registration refers to. With his prejudicial case the examining judge asks, substantially, if article 3, paragraph 1 , letter e), iii) of the directive 2008/95 has to be interpreted in the way that a sign consisting of a color applied to a high heel shoe sole, as the one object of the main proceedings, is exclusively constituted by the “form which gives a substantial value to the product”, according to said directive. The Aia court has decided to question the Justice Court on this concern. The Justice Court deems that the subject trademark cannot be considered “exclusively” constituted of the form which gives a substantial value to the product, whereas the principal object of this sign is a color identified by an identification code renowned at international level and declares that article 3, paragraph 1, letter e), iii), of the directive 2008/95/CE of the European Parliament and Board, of October 22nd 2008, on the rapprochement of the laws of the member States on trademark matters, is to be interpreted in the way that a sign consisting of a color applied to a high heel shoe sole, as the one object of the main proceedings, is not exclusively constituted by the “form which gives a substantial value to the product”, according to such directive.